Green Side Cottage01263 715779work01603 870304fax Self-cateringThis fantastic three hundred-year-old cottage sits in the middle of the pleasant village of Thornham. Local shops and pubs are only a short walk away, as too are some truly wonderful restaurants. This property has a quaint blend of traditional features, such as its inglenook fireplace and exposed beams, combined with the easy living of modern utilities. 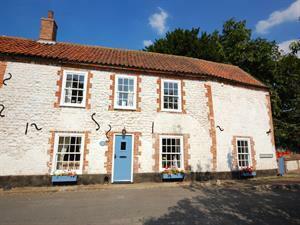 The surrounding area is waiting to be explored by those who want a great holiday in the Norfolk countryside. • Other: Bed linen, books and games provided. Towels available for hire at £30 pppw. For 2020 bookings - towels are included.